On Saturday, a fabulous thing happened. 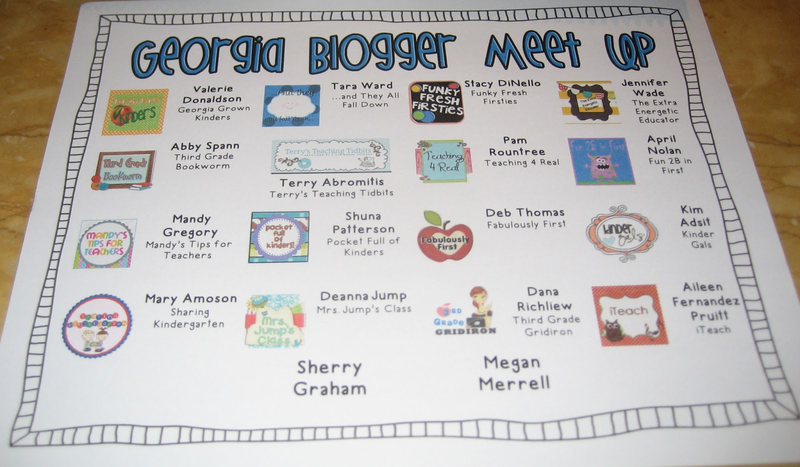 I got together with some of the sweetest bloggers our Peach State has to offer. It was freezing for these Georgia girls, but we stayed warm inside The Cheesecake Factory! Row 3: Sharing Kindergarten, Kindergals (both of them!) 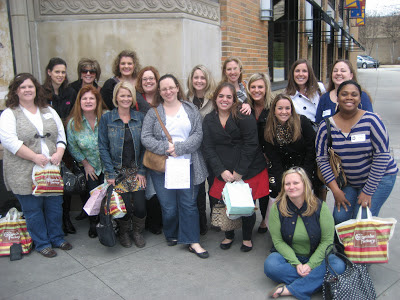 :), Mandy's Tips for Teachers, Teaching 4 Real, And They All Fall Down, Sherry, 3rd Grade Gridiron, Your Favorite Bookworm! If you aren't following all of these ladies, make sure you check out their blogs for lots of new and fun fabulous ideas! We gave away a few door prizes too! Georgia Grown Kinders got a yummy bottle of vanilla lotion, iTeach walked away with a super-cute spring scarf, Fun 2B in First snagged a thermal mug, and Mrs. Jump's Class left with some St. Patrick's Day hand towels! I am so thankful for new sweet friends who understand my need for cute clip art and fonts. :) I can't wait to do it again! Looks so fun! We're having a Houston area one this weekend. I can't wait! Hi Abby, It looks like you gals had a great time! Next time you gather with a GA group, I'd love to join. Kim Adsit and I taught at the same school together and she urged me to join TPT. I am going to get her (ha ha) for not giving me a call about this meet-up. Jealous! Want some snow from WI? By the way, I'm your newest follower! Hello! I recently just started a youtube Korean food channel, EasyKoreanFood, where you can learn how to make fast & easy Korean food! It would mean the world to me if you could check it out because I'm just starting out! Thanks!